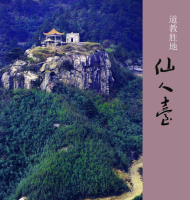 Xian Ren Tai (仙人台）Mountain is 1159 meters above sea level, located in the junction of Qichun county and Yingshan County, Huanggang City, Hubei Province. 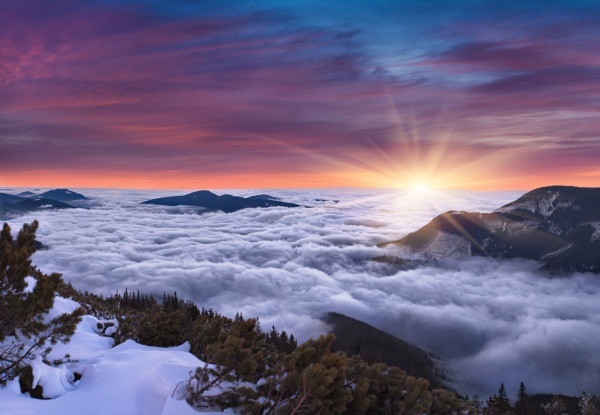 The region's climate is a subtropical continental monsoon climate, and Climate boundary of heat and light is clear in four season. 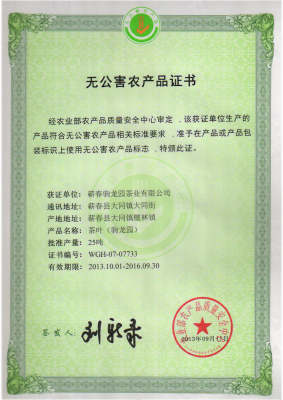 It is suitable for planting tea Becuase of frequent fog, mild and humid climate in spring and summer. 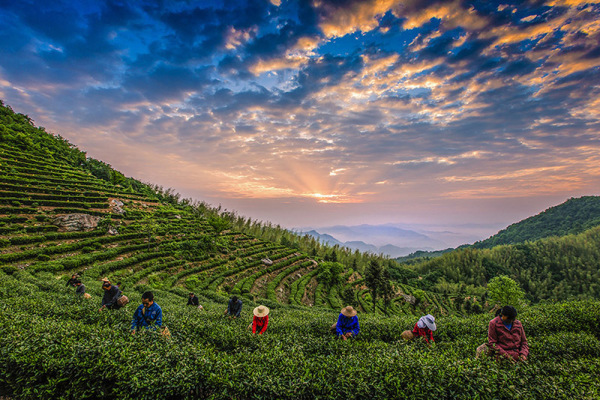 The history of tea planting is originated in the Han Dynasty (202 B.C--220 A.D), and developed in the Tang Dynasty (618 A.D-907 A.D).Xianrentai tea plantation was less than twenty mu(亩：1 mu =667square meters). 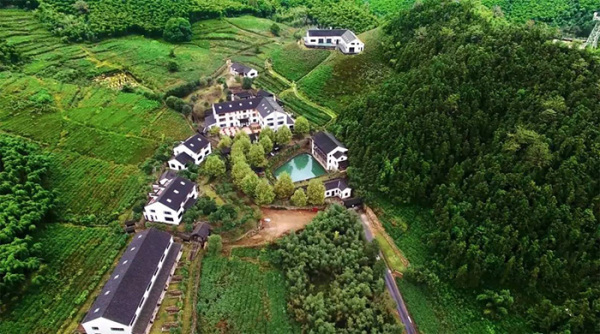 Before 1949.The government of Qichun country had built a state-owned tea plantation in 1956, and there is more than 1000 mu of tea plantation now, with an annual tea output of more than 80000 jin (斤：1 Jin=0.5KG). 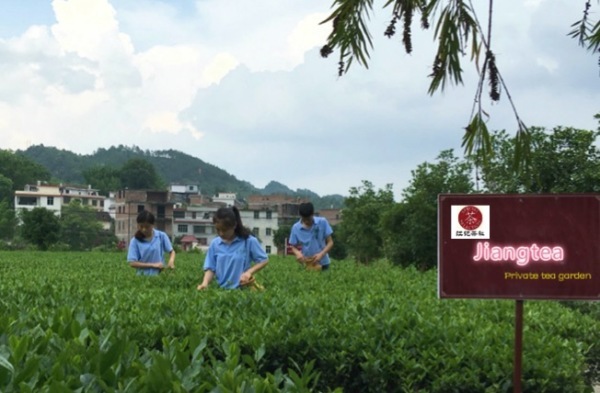 Tea producing technology have innovated on the base of traditional producing methods, and produced famous green tea "Qiqiang" and "Tai tea".The tea soup is green and bright, and the taste is mellow and thick after brewing of Xianrentai green tea. 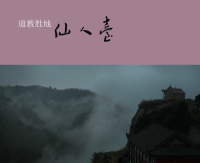 Thirty degrees northlatitude is a peculiar geological belt, miraculous biology andmysterious cultural belt, it’s also a high quality tea growingzone. 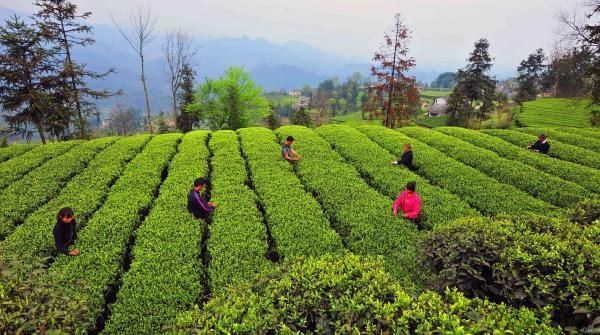 There are nine kinds among ten traditional famous tea,including Xihu Longjing, Junshan Silver Needle, Mengding Ganlu,produced in this region. Biologic variety leads to perfect environment. 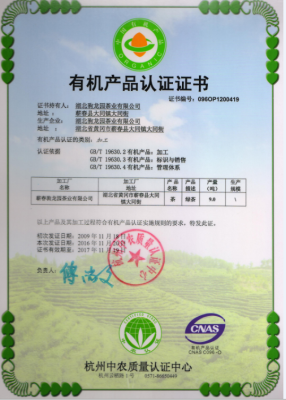 Therefore tea produced in the zone is not only with high quality,but also with reliability. Far away from cities and industrial areas,With the surrounding lush forests, fresh air and clean water. Rich and balanced soil nutrient, high natural fertility in soil. 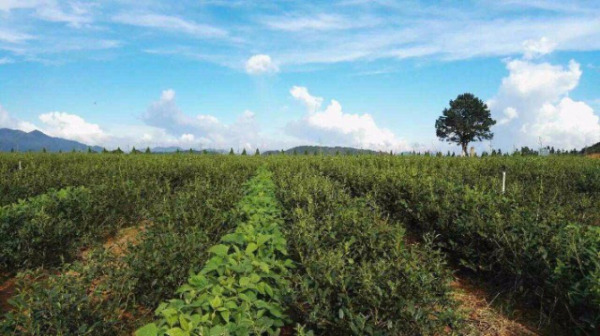 Organic tea plantation planted tea trees in harmony with natural and ecological principles.The application of the production technology emphasizes the stability and sustainability of the tea garden ecosystem. 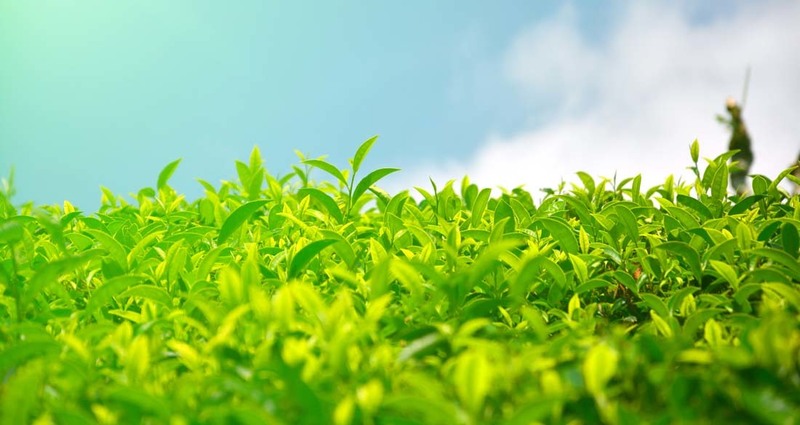 In the process of planting tea trees and tea-producing , do not use any synthetic chemical fertilizers, pesticides, plant growth regulators, chemical additives.it should meet the Organic Agriculture Movements (LFOAM) standard, and it certificated by organic food certification organizations. 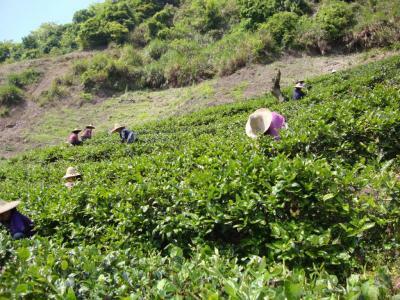 Manual weeding in the tea plantation, tea growing in nature, No use of herbicides . Deinsectization in the tea plantation; the application of yellow sticky trap and mosquito-killing lights, no use of pesticide . 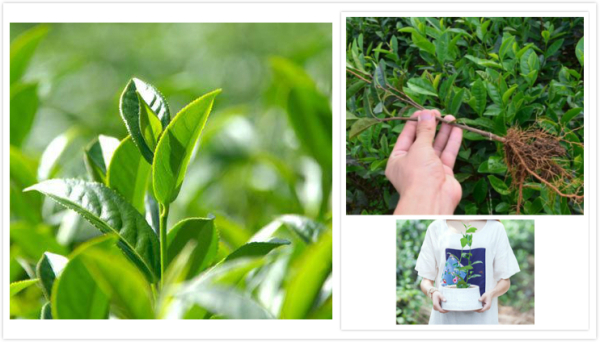 Tea trees was fertilized with organic fertilizer ,free from chemical fertilizers. 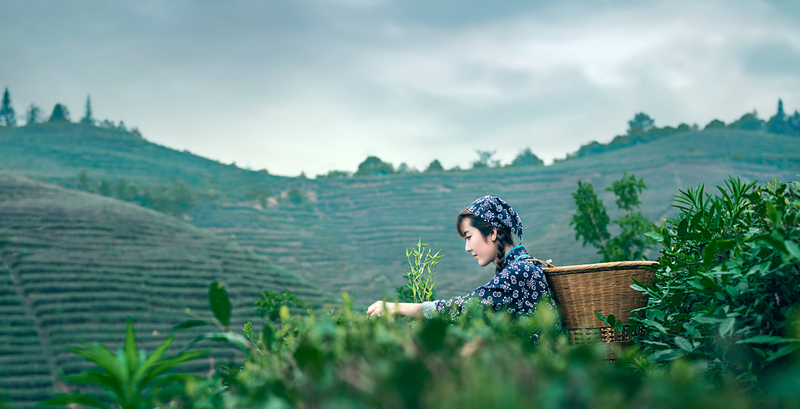 The Traditional technology of Chinese tea production is one of the important intangible cultural heritages in China. 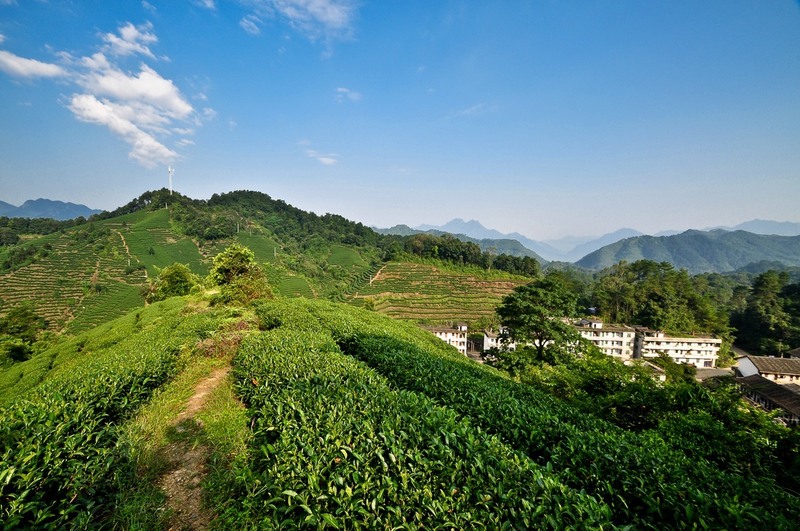 Tea producing technology have innovated on the base of traditional producing methods. 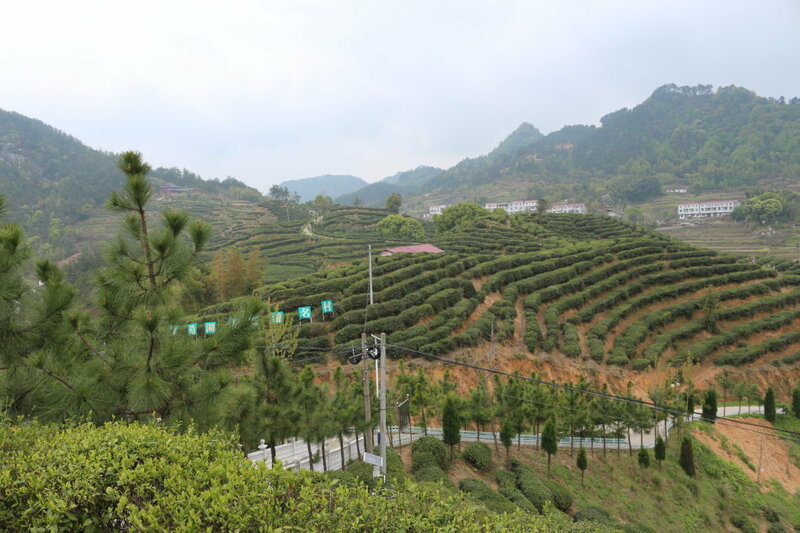 Famous green tea "Qiqiang" and "Tai tea" are produced in XianRenTai tea plantation, which tea soup is green and bright, and the taste is mellow and thick. 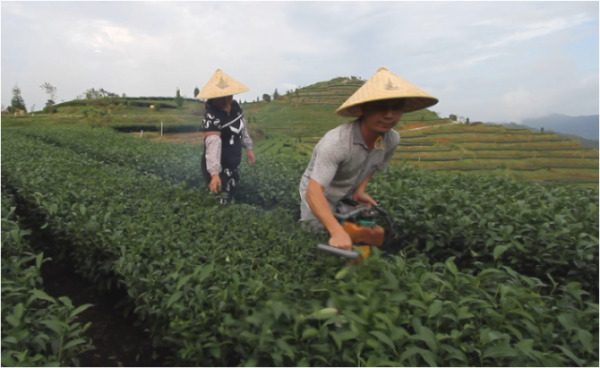 In the harvesting season ( spring tea & autumn tea), the tender tea shoots are plucked by hand and delivered to tea factories immdediately. Different kinds of green tea have different requirement of plucking tender tea shoots. The purpose is to make the shape tight in order to make the next step drying easier. As well as destructing of leaf tissue to make better quality for easy brewing out the tea liquor. 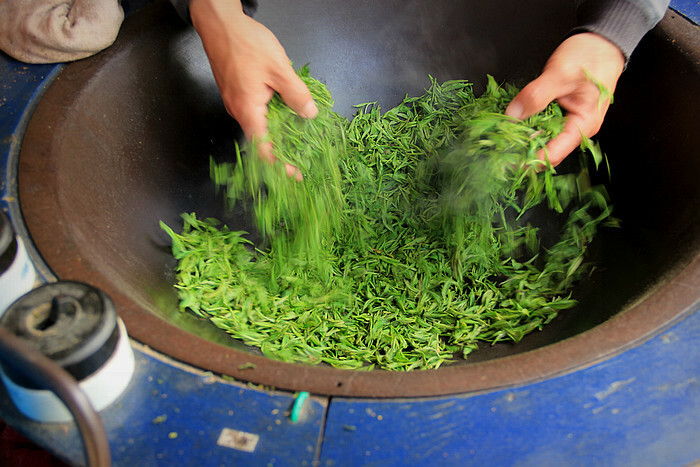 The drying of the produced tea is responsible for many new flavor compounds particularly. At the same time improve its appearance. 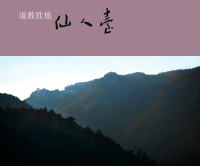 we have contrated for having 20 years of the land-use right of 200 mu with Xianrentai state--owned plantation. (1 mu =667square meters). 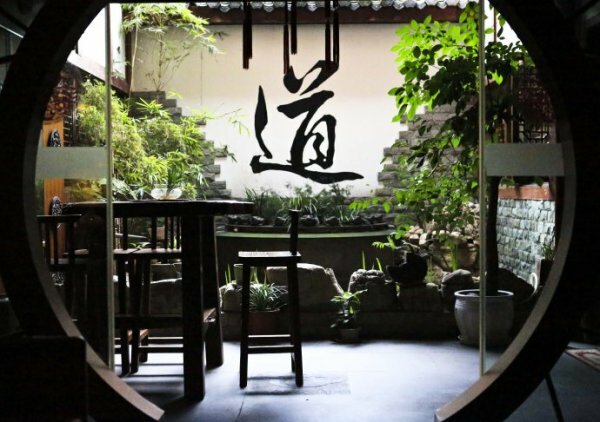 Goal 2: A tea plantation vacation hostel. We plan to choose a beautiful place to build a hostal with about 15 rooms and provide tea plantation vacation servie for tea tours. 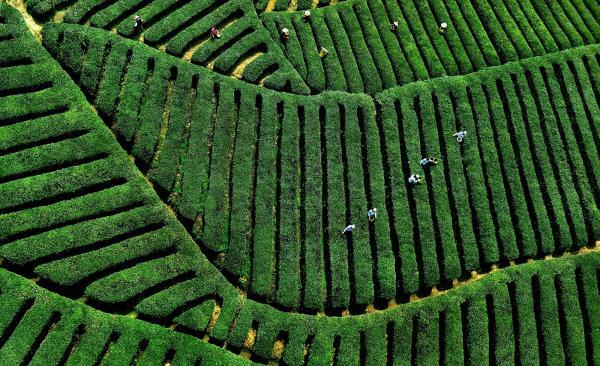 20 years of the contractual right of tea plantation land. 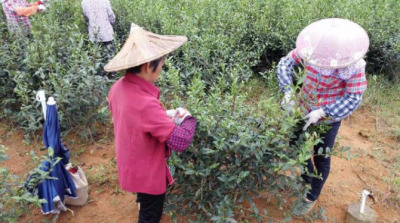 We get 20 years of the contractual right of land from local tea farmers in Xianrentai tea earas, help tea farmer continue traditional ecologic tea plantaion and improve their income. 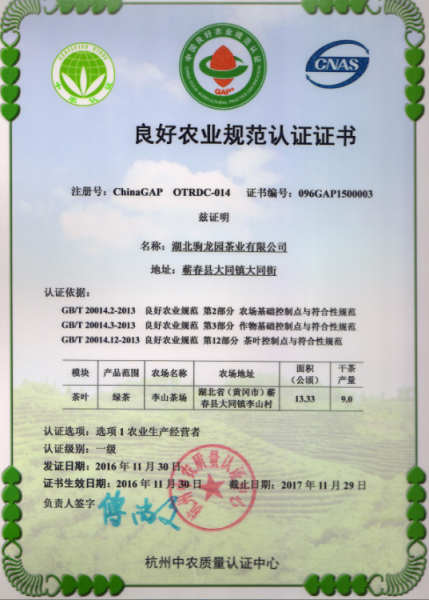 We plan to local professional tea producer and raise productivity with 300 mu of tea plantation scale in 2017, and get certification of organic tea, and reduce the purchasing cost of the crowdfunding project participants. 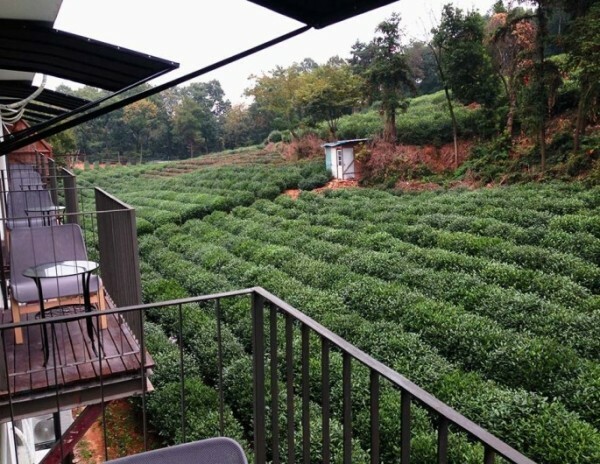 We plan to design and build a beautiful hostel in the beautiful tea plantation in 2018, which has about 15 guest rooms, welcome the crowdfunding project participants to visit their own tea plantations and have a tea tour in every year. 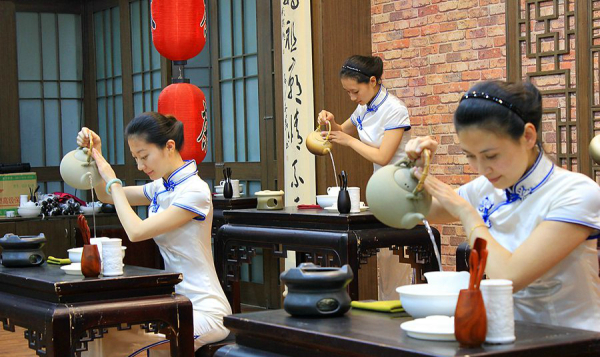 We have been providing Chinese traditional loose tea wholesle service for our clients in the past 7 years (from 2010 to now). 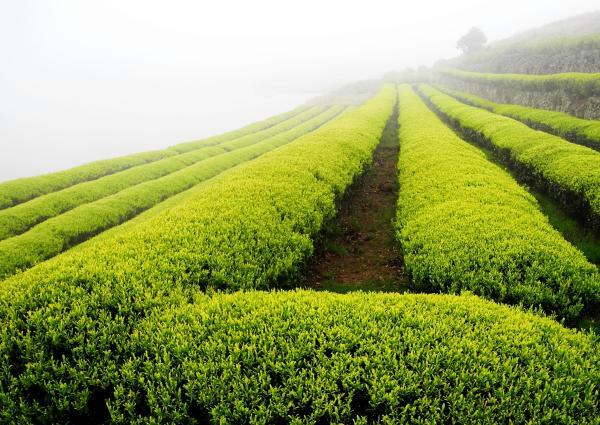 Our clients are doing tea business in more than 20 countries. 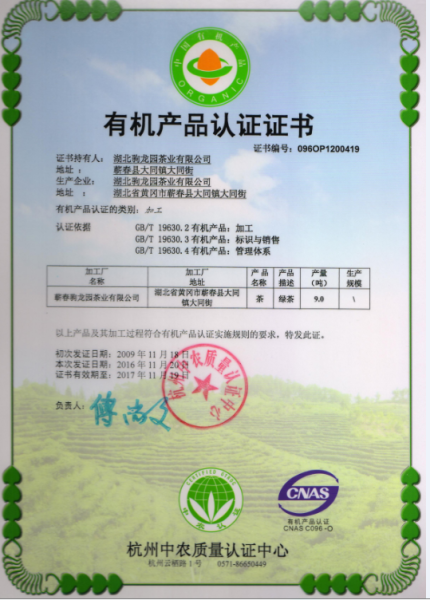 Most of our clients require "organic tea certification" according to the laws and policies in their countries. 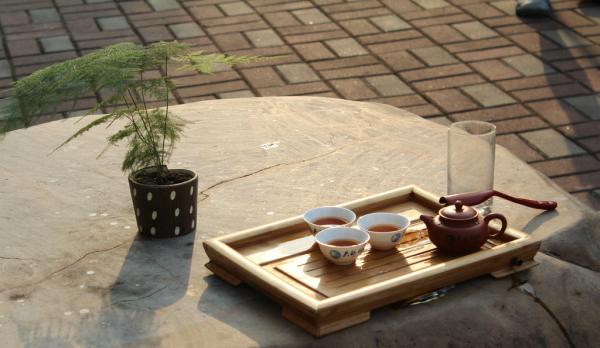 Actually, China tea lovers seldom use the concept “Organic tea” . 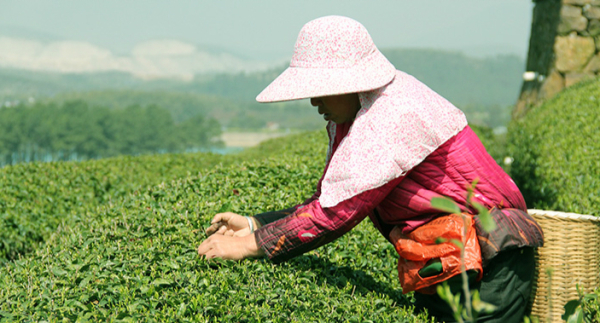 “organic tea ” in China is not necessarily traditionally produced tea and is produced only for export. All loose tea in our wholesle lists are from small family tea farms which they have no more than a couple of acres (5-10 mu of tea plantation) and produce one or two teas indigenous to their area. 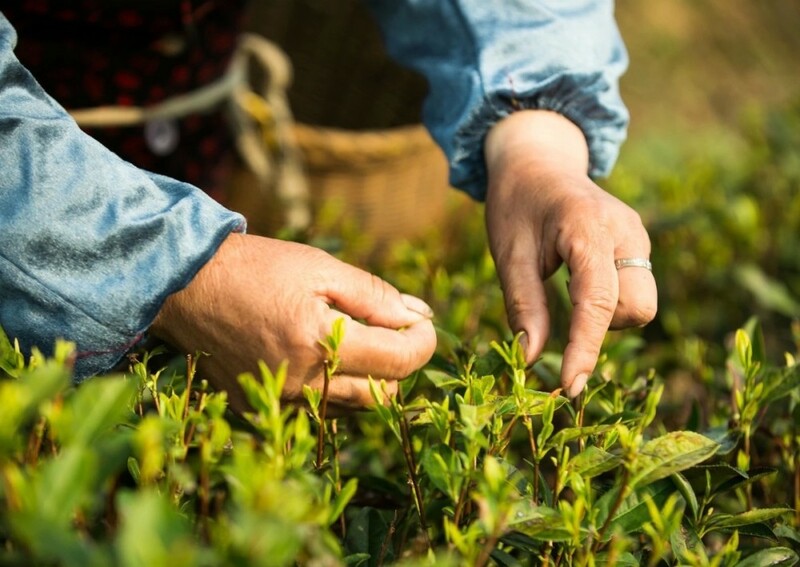 These tea farmers are using chemical-free techniques to produce their teas. They continue to use the traditional techniques developed by the ancestors . They have not enough resource to get the certifications. 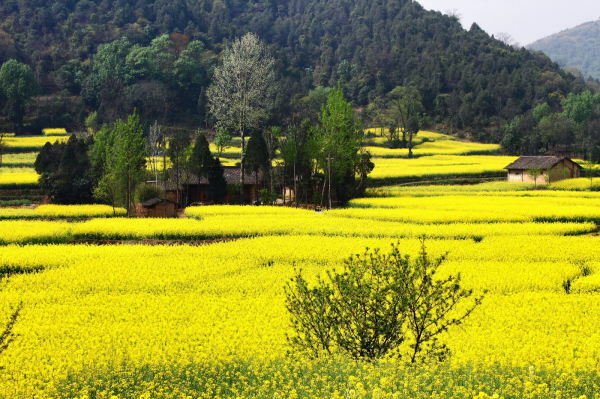 The living space of traditional ecologic agriculture is gradually reduce in China with impact of modern agriculture. 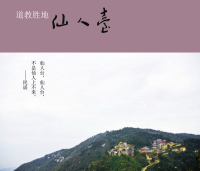 Econmicis in rural areas are undeveloped with the rapid development of urbanization.Most family-owned small tea plantations are located in inconnvent traffic and romote mountain areas in China. 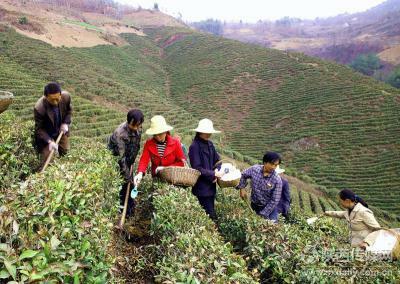 More and more young people leave their rural homeland and make their living the cities in China.The aged people left behind in the countryside and work in their family-owned samll tea planation, they have not effective maketing Channel and resource to sell their teas, so most of tea farmers in China are in the poor difficult position because of low productivity. We have visit 8 tea plantations in tea production areas in 3 provinces in China from Oct to Dec in 2016. 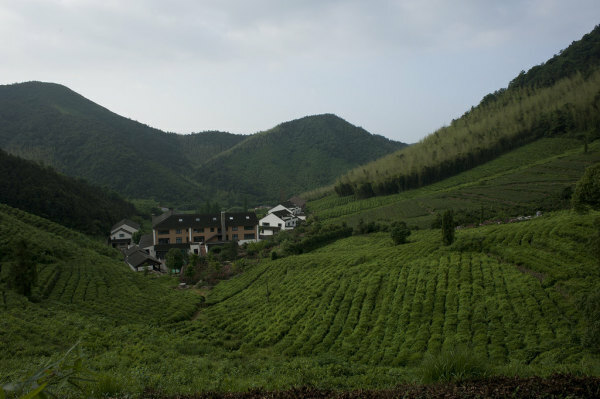 We decide the xinrentai tea plantaion to initiate the project. We negotiated with managers of state-owned tea plantaton in Xianrentai tea area, and achieve the agreement of developing the project. We are seeking appropriate cooperative partners for the project. If you have any good ideas and advices, please feel free to tell us. or you have interesting of doing some constructive work for the project, we would like to provide a corresponding reword. 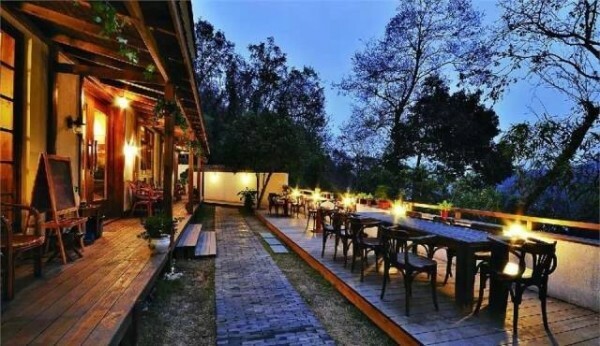 The above pictures were shot in samll hostels built in the tea mountain.The place of tea planation has beautiful scenery and pleasant climates, which is a ideal vacation resort.Having a tea tour to experience the charm of Chinese tea culture. Tea leaves can be harvested in Mar-May in the spring and in Aug-Oct in Autumn in Xianrentai tea areas,which are mainly produced as high-grade tea of green tea, and also can produced black tea. Spring tea : about 10-15KG, Autumn tea: about 5-10KG, Annual income is about 1500USD-3000USD in Chinese loose tea retail market. 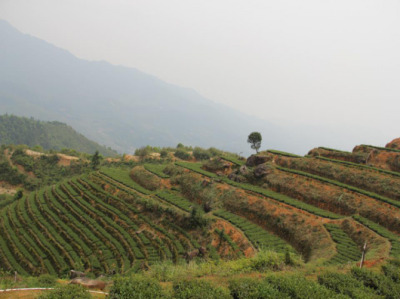 A mu of tea land can planted about 5000-7000 tea tree seedings. 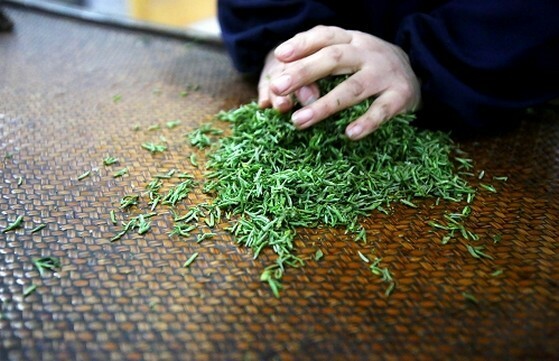 Local tea tree seedings are green tea seeding of "qiqiang" and "taicha" in xianrentai tea area. Project participants can choose the other popular varieties of tea ceedings, such as longjing tea, anji white tea, maojian tea. 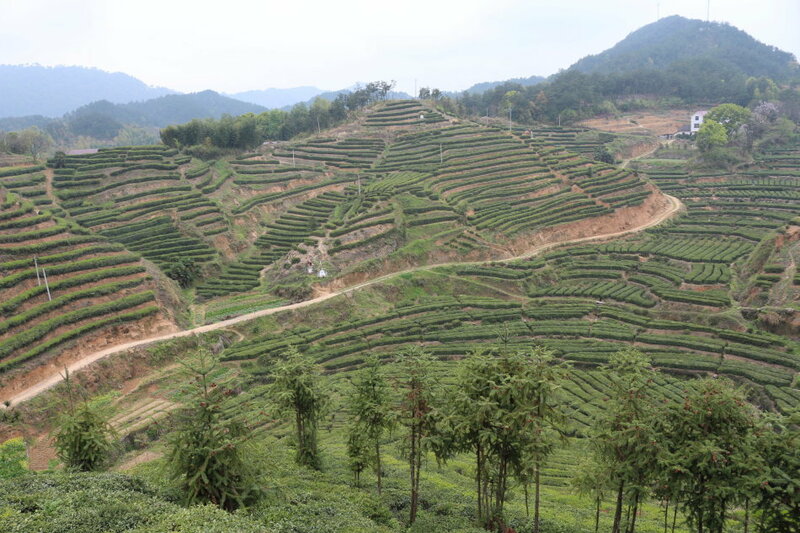 2-3years aged tea ceeding can panted and the tea leaves can be harvested in the next year. A tea seeding as a potted plant. Estimated Time of Delivery: after April 15,2017. 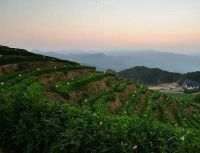 ​Chinese famous green tea "Tai Cha" is original produced in Xinrentai tea mountain, which is originated in the Han Dynasty, and developed in the Tang Dynasty. 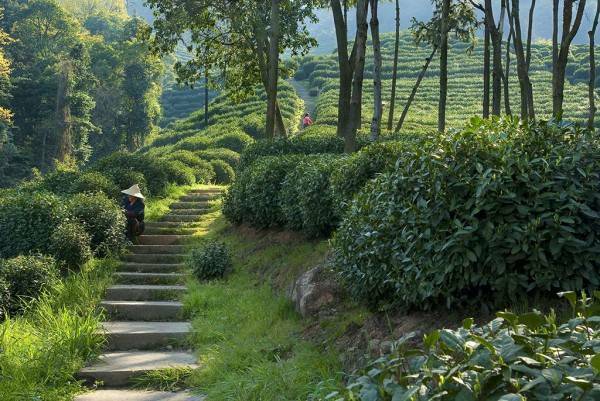 We have achieved cooperation agreenment with Xianrentai state-owned tea plantation about the project. Gain 4 years income of 1 Mu of tea land; about 15kg/1mu of Organic green tea (Spring tea & Autumn tea) in evey year. Set up your "tea land exclusive right" sign in the tea land. 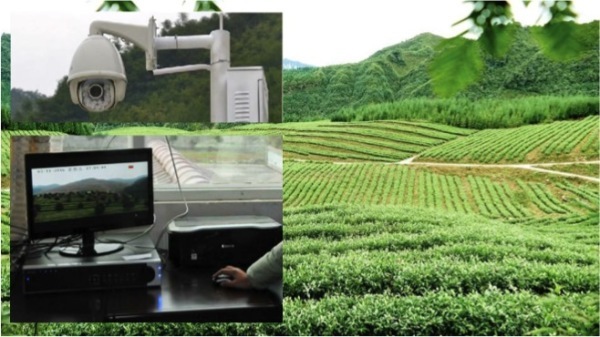 Access video monitoring system of tea plantation. 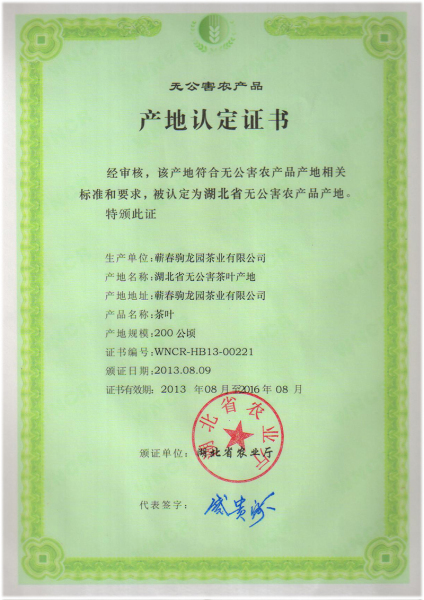 Gain 4 years income of 3 Mu of tea land; about 15kg/mu of Organic green tea (Spring tea & Autumn tea) in evey year. 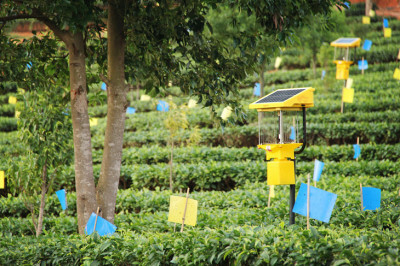 Build exclusive video monitoring system your own tea plantation. 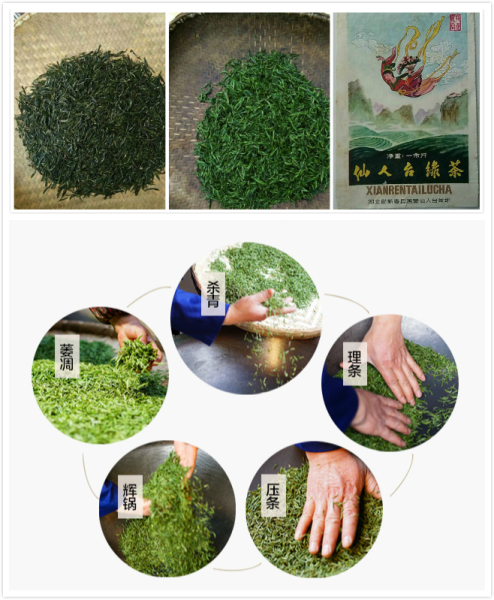 Spring tea : about 10-15KG, Autumn tea: about 5-10KG, Annual income is about 1500-3000USD in Chinese loose tea retail market. Gain 4 years income of 5 Mu of tea land; about 15kg/1mu of Organic green tea (Spring tea & Autumn tea) in evey year.